Resident potter Shelburne Art Center May 2008 to May 2010, managing studio operations, creating workshop agenda and arrange programs, teaching classes and firing kilns. My vision for the studio was to encourage a supportive, creative environment where artists would both grow and thrive. 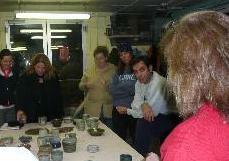 The number of clay artists working in the studio doubled within the first year. I encouraged students to experiment and push their creativity. 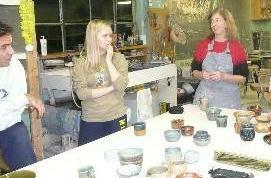 Glaze firing included a high fired reduction kiln, pit and raku. I believe that art education is important at any age. Both adults and youth can find themselves seduced by the plastic nature of clay. Creating with clay can be rewarding and satisfying.